At Celtic & Co we specialise in the finest quality of Great British sheepskin. As a bi-product of the UK farming industry, we craft a variety of beautiful 100% sheepskin products, from sheepskin boots, sheepskin slippers to sheepskin rugs. Based in Cornwall, we hand-craft sheepskin boots and slippers with premium quality British sheepskin and as a result we have beautiful sheepskin offcuts that we are able to sell to customers who love the soft and comforting touch of sheepskin. Sheepskin offcuts are usually small pieces of trimming that can be used for a wide range of crafts. Some of our customers love to line pet bedding with sheepskin as it is warm, breathable, natural and so soft and comforting. You can also make adorable pet toys with sheepskin offcuts and give your furry friend something soft and 100% natural to play with. When it comes to sheepskin offcuts, you are only limited by your imagination. From fluffy draft excluders, trimmings on cushions and soft furnishings to sheepskin costumes, ideal for school plays or for fancy dress parties, there are hundreds of creative and fun things you could make. Available in a range of colours, sheepskin offcuts from Celtic & Co can also be used to provide additional comfort for beds and sofas or arm chairs. The beauty of sheepskin is that it helps to regulate body temperature. During the summer months, sheepskin can keep you cool, and in winter, sheepskin helps to keep your body warm and comfortable. 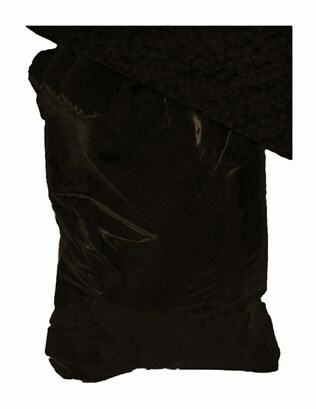 We also have Toscana offcuts in the colour spice. This beautiful and soft 100% natural fabric would be a gorgeous trimming on a rug or a scatter cushion. 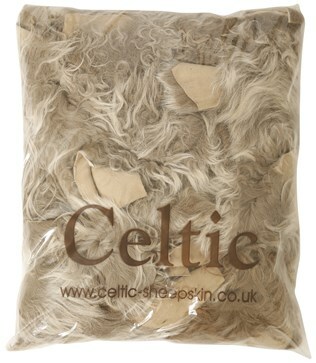 Take a look at our 100% sheepskin offcuts and let your imagination go wild as you think of all the fantastic crafts you can do with sheepskin from Celtic & Co.